Ahead of the ensemble’s anniversary concert, co-founder Jenny Duck-Chong reflects on Halcyon’s first two decades and the state of play for new music. Sydney-based new music ensemble Halcyon is celebrating its 20th birthday this year. Mezzo soprano and Halcyon co-founder Jenny Duck-Chong spoke to Limelight about Halcyon’s first two decades and the state of play for new music in Australia. What led you to found Halcyon 20 years ago? 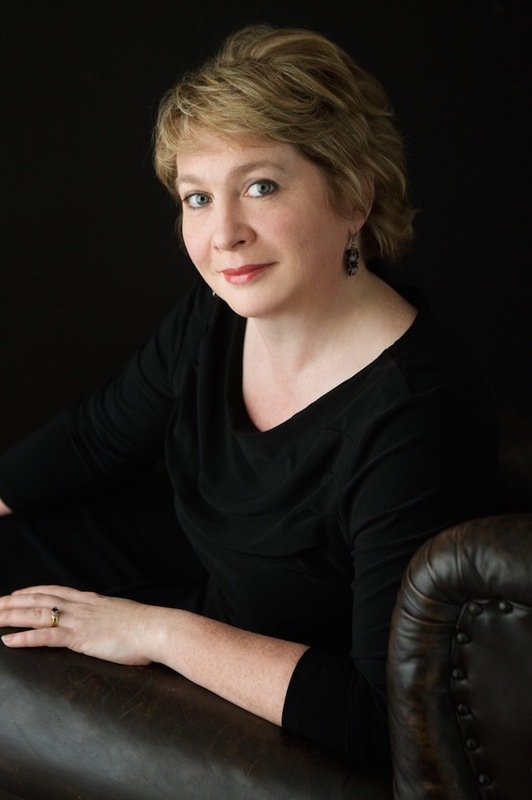 When we co-founded Halcyon, soprano Alison Morgan and I had already been working together for a few years and were training under the same teacher. We had discovered we were like-minded singers, had spent hours together exploring the nuances of ensemble singing, presented duo recitals and worked together in other ensembles like The Contemporary Singers (the forerunner to Cantillation). We were excited by performing new vocal music and wanted to both challenge ourselves musically and explore the potential of our instruments. We were keen to work as chamber musicians alongside instrumental colleagues and found there was a diversity of rich and interesting works for voice and instruments, by well known composers and those more obscure. We loved the stripped back intimacy of small scale chamber music, the acrobatic dexterity it often demanded, and the thrill of presenting new works. But we knew this was not the standard career path for a young singer and that to do this we would need to start that ensemble ourselves. So, being young and intrepid, we did! What have been Halcyon’s biggest achievements over that time? It is great to be able to look back and reflect on what has happened in the last twenty years: creating a substantial body of new Australian repertoire for voice and instruments; producing a significant recording catalogue of 11 CDs of Australian works including our 15th birthday Kingfisher project which, on its own, saw the commissioning of 21 new works; maintaining a high standard of repertoire across two decades of programming, which has been regularly acclaimed for its excellence; developing a diverse audience base drawing together new music aficionados, friends, newcomers, composers and fellow musicians who have trusted us to present interesting and engaging programs and come along even if they knew none of the works or composers on the program; building a strong network of co-artists at various stages of their career (over 120 musicians have been involved in Halcyon performances); developing a YouTube presence, including an interview series with Australian composers about their work; and showing instrumentalists and composers that singers are musicians too! I guess there’s a lot to celebrate! How has the new music scene changed since you began? In so many ways – we used to send out letters to our supporters via snail mail! Communication with audiences is so much easier now and much more immediate. But the financial support for small to medium sector groups has significantly reduced in that time and artists need to be more and more resourceful just to survive, or find the best marketing angle to promote themselves as different. It is tough for creativity to thrive in this environment, but I think artists are getting better at speaking out about this and also building their own networks to support and mentor. A lot more energy seems to be devoted to creating eye-catching or multi-disciplinary projects, rather than simply staging a concert performance. But music still has a power to speak directly to audiences in whatever form you present it. I am pleased to see that there are more opportunities for young and emerging artists and there is a recognition of the value of these platforms for them to gain practical experience in small steps. When we started out, there were no mentoring programs or business development training for artists. We sought out key people in the industry who talked with us and encouraged us, but we really developed all our skills from the ground up. It’s fantastic the sort of support that now exists to help artists facilitate their work, but running an ensemble is a serious commitment and the bottom line will always come down to determination, vision and generous financial support. What have been the most important collaborations? Our very first concert was a significant collaboration. Wanting to make an impression and work with great musicians, we approached the venerable Sydney Alpha Ensemble, one of the most established and recognised new music ensembles of the time and asked if they would be interested in staging a program with us! Alongside young conductor Antony Walker (and even younger school girl soprano Jane Sheldon) we presented a star-studded program including Ravel’s Trois Poèmes de Stephane Mallarmé and Delage’s Quatre poèmes hindous alongside Crumb’s Ancient Voices of Children and Berio’s Folksongs. It was a wonderful evening with an audience of over 250 which put us on the map and gave us a taste for performing great music alongside great musicians. 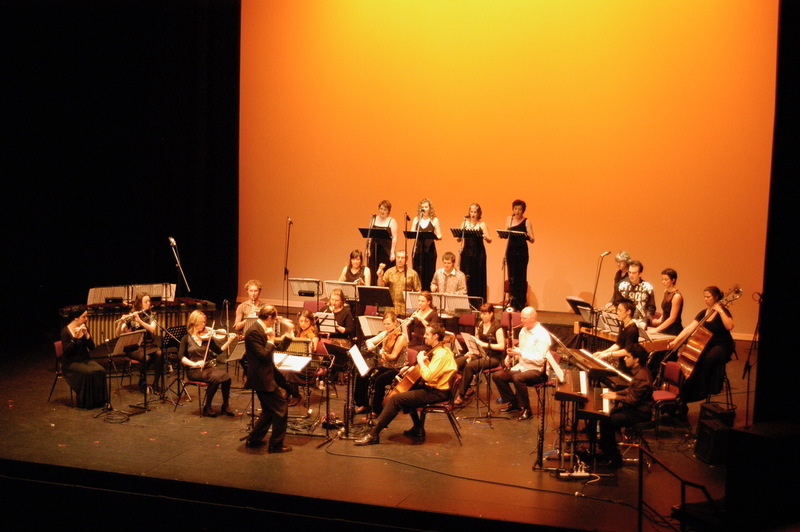 The largest collaboration was the performance staged by Halcyon with new music veterans Synergy Percussion and Ensemble Offspring of Steve Reich’s Tehillim alongside Vivier, Ligeti and Ricketson in 2007 at City Recital Hall and Riverside Theatres Parramatta to a total audience of around 1000 people. Having the support of Synergy and Offspring meant we could stage this ambitious project for 25 musicians in larger venues and bring this music to our biggest audience ever, a concert that is still talked about today. In 2004 we presented a program called Sirens with fellow singers Belinda Montgomery and Jo Burton, and harpist Genevieve Lang. This voices and harp combination worked so well that ‘Sirens’ took on a life of its own, with more than a decade of regular performance, numerous commissions and several recordings. Working with the exceptional sound engineer Daniel Brown in the studio at Trackdown, since 2004. He and the studio are responsible for creating the Halcyon ‘sound’ that you hear on almost every recording we have produced since 2008. An ongoing association with the Australian Music Centre, whose staff have been an invaluable resource in finding work and connecting with composers both here and abroad. I cannot thank them enough for the time and encouragement they have given to us over the years. Working alongside a co-director for 16 years who was so like-minded and yet so different in personality. We reached a point where we would say we shared the same brain when it came to Halcyon. We have grown and shaped the ensemble, forged our careers and raised our families together as we did it. That is a wonderful gift and something I know made Halcyon stronger and more resilient. I am a detail person so the opportunity to forage and seek out new repertoire, to unearth fantastic works and commission them too is a great joy. To then craft them into programs, and explore the interplay of works and to see how audiences respond to them, is hugely satisfying. By developing so many relationships with fantastically skilful and like-minded musicians and meeting and working alongside composers from all over the globe, I have spent two decades bringing their intentions from off the page to make the pieces my own. What are the biggest challenges facing new music moving into the future? Staying viable and staying visible. Practically, financial viability is definitely top of the list for many in this industry, as resources are stretched thinner and thinner each year; many great ensembles have folded or drastically reduced programming as funding cuts hit home. But I think the most important challenge we face is just getting the word out about what we are doing to the widest possible audience. We don’t often have the marketing arms of larger ensembles and so less people hear about what we are doing. And people often don’t know how to approach new music, feel they won’t understand it, or simply see it as too difficult. But all music started out as new to its audiences. Everything that has become canon began life with a first performance. With contemporary art, theatre, writing, dance, people are used to taking a chance and being prepared to try something out of their comfort zone and just experience it, and yet new music is now often seen as a step too far. We should not shy away from the fact that we are a niche of classical music. But we are a vibrant, exciting and diverse one that’s really worth experiencing live. Can you tell us a little bit about the upcoming concert This Kind of Life? This Kind of Life is a great snapshot of what Halcyon has become known for – eclectic and dynamic programming bringing together the best of Australia and abroad. The program features a new commission by composer Elliott Gyger, two Australian premieres by Japanese-born UK-based composer Dai Fujikura and Belgian Annelies Van Parys, and two works from our Kingfisher project by eminent Australian composers Ross Edwards and Rosalind Page. Elliott Gyger is a long-time friend and colleague and our collaborations to date have produced several acclaimed works including giving voice, winner of the 2013 Paul Lowin Song Cycle Prize. This will be the sixth work written for our ensemble for a fascinating combination of soprano, mezzo, clarinet, cello, harp and piano. There really is a bit of everything in this concert, and it’s a great springboard into the wide and beautiful world of new music, or a perfect way to dip your toes! Where would you like to see Halcyon go from here? There are still more concerts to program, recordings to produce and works on my wish list to perform and commission, but I am now keen to see Halcyon do more work as a mentor for young composers and musicians, to create educational resource kits based on our recordings and also to continue to develop our online resources to reach the widest possible audience. Presenting new music and performing composers that create work in our present era is vital to our culture. We’re excited to keep championing and presenting it to audiences here and around the world. Melbourne’s Rubiks Collective has initiated a prize to address the underrepresentation of female composers in Australia. Music and storytelling combine in a performance that brings narrative archetypes to life. Along with Claire Edwardes and seven canny composers, the playwright explains how she created a musical Everywoman. The organisation’s Australian Composer List Project draws on input from artistic directors and curators from around the country. The new music ensemble’s performance for International Women’s Day launches a year celebrating female composers. Melbourne new music collective serves double the thrills in their first action-packed concert of 2017. Why is no one vomiting in timpani any more? Australian composer Matthew Hindson discusses the dangers and pay-offs of risk-taking for emerging composers. Classical Now will showcase Australian classical music and musicians across the whole of November. The lively Sydney venue will host an eclectic line-up in 2017 from classical concerts to an illuminated sound bubble.